Service Provider of a wide range of services which include ceramics and mineral based industries project report, glass projects report and ceramic industry project report. We are an ISO 9001 : 2000 certified firm engaged in providing efficient Ceramics And Mineral Based Industries Project Report to the clients. Ceramics And Mineral Based Industries Project Report is provided by our professionals after analyzing the exact requirements of the clients. The services we offer are highly acclaimed for their effectiveness, reliability and timely execution. We are an ISO 9001 : 2000 certified firm engaged in providing efficient Glass Projects Report to the clients. Glass Projects Report is provided by our professionals after analyzing the exact requirements of the clients. The services we offer are highly acclaimed for their effectiveness, reliability and timely execution. 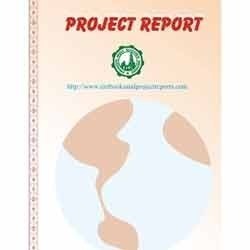 We have detailed techno economic feasibility project reports on Glass, Flat Glass, Art Glass, Hollow Glass, Automotive Glass, Optical Glass, Ceramic Powder, Refractory, Pottery, glass processing line, Glassware Industry, Ceramic, Industrial Ceramics production, Mining Industry, Metals and Natural Resources Industry.